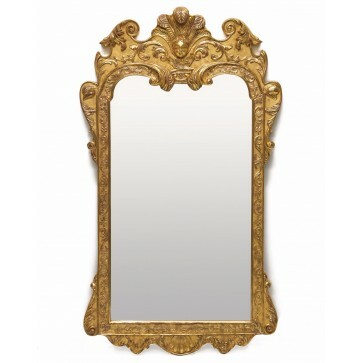 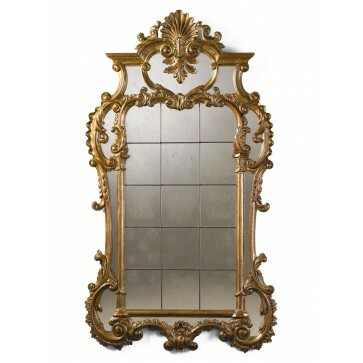 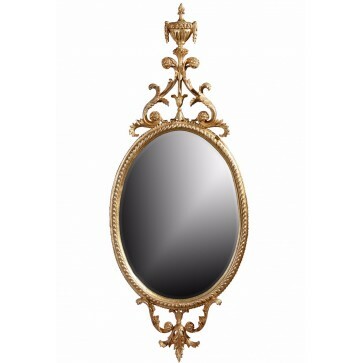 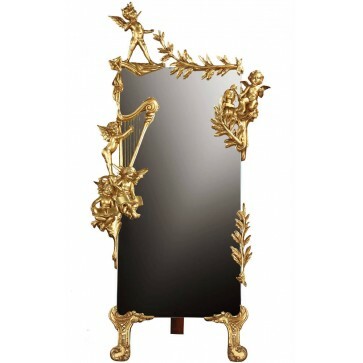 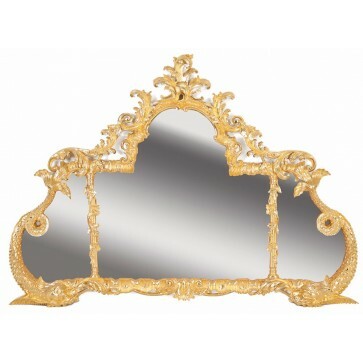 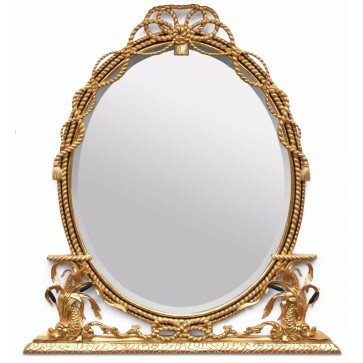 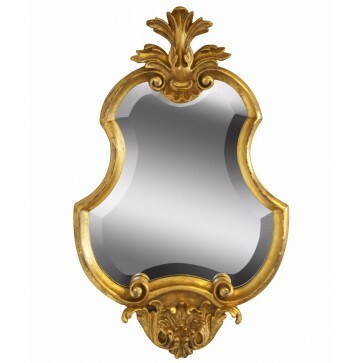 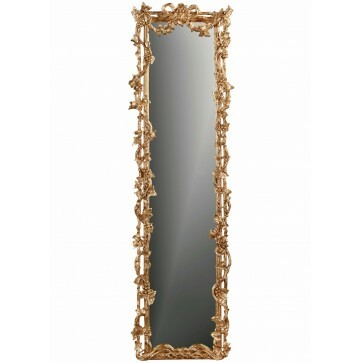 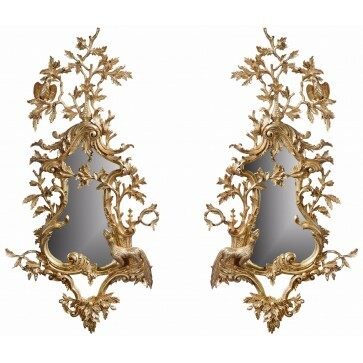 Water gilded cherub cheval mirror - 60in. 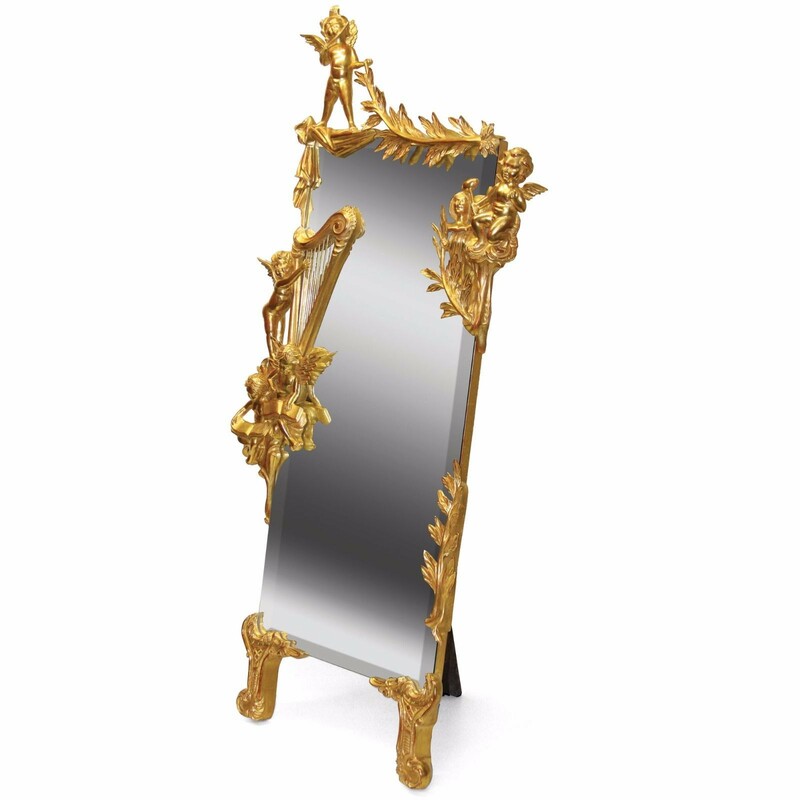 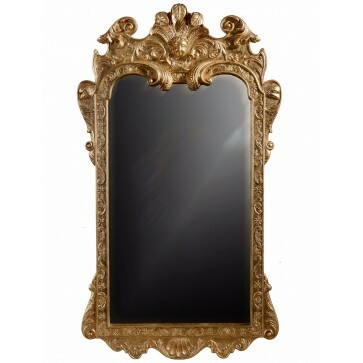 A giltwood cheval mirror with an entirely hand carved mahogany frame which is water gilded in 23¾ carat gold leaf. 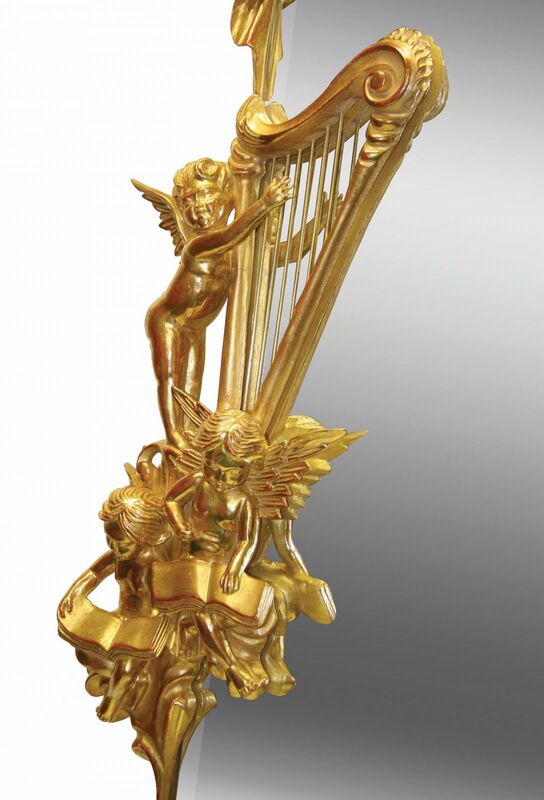 Water gilding is a more elaborate process requiring greater preparation, but its elegance and refinement of finish are unsurpassed. 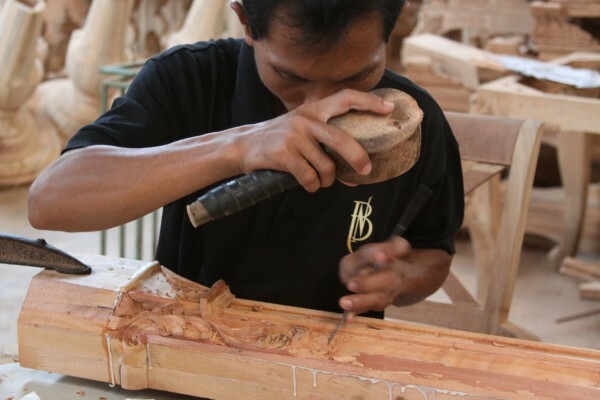 A number of coats of gesso are applied to the wood to produce a very fine smooth surface. 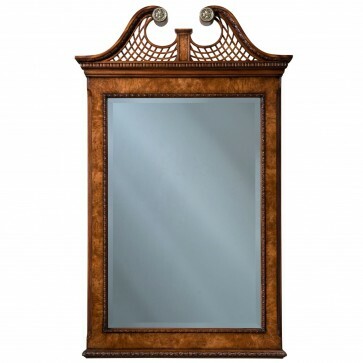 Any detail lost due to the application of gesso is re-carved along with any further refinements to the design. 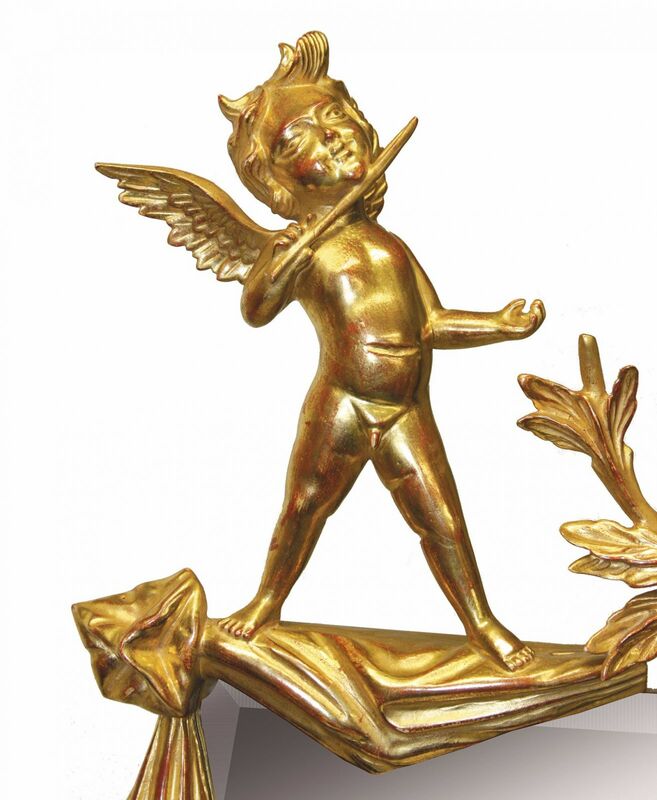 Gilding clay, or bole, is custom mixed by our gilder and applied in different coloured coats to achieve the desired finish as it will tint the 23¾ carat gold leaf once layed using a water/achohol mix. 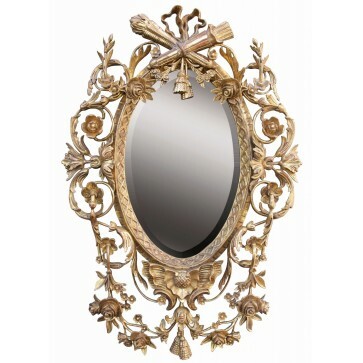 Water-gilded pieces can be given contrasting finishes to enhance the design by distressing to expose the bole beneath, or by brightening areas with an agate burnisher. 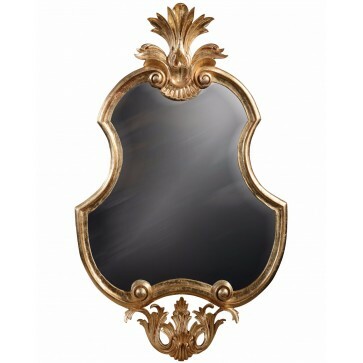 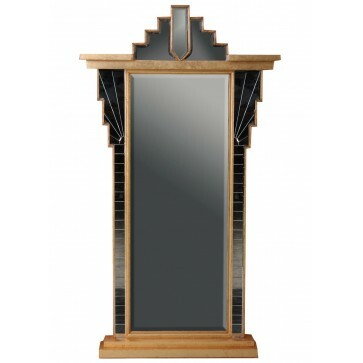 The finish on this mirror is highly burnished with matt recessed areas and a warm rub through to the red bole beneath.